Today I’m offering this super cute Vintage Lazy Day Picture! This image was scanned from a Circa 1920 Children’s Rhyme Book. This beautiful illustration shows a sweet little Child lying in the grass under the branches of a beautiful Apple Tree! The perfect Lazy Day … and such a peaceful scene! 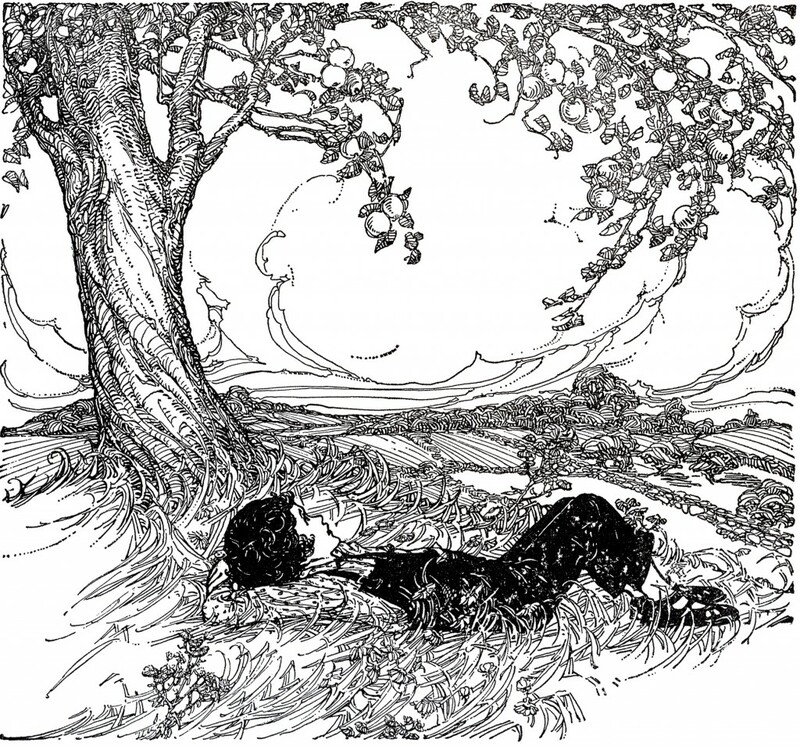 You might like another image from the same book, that I posted last week, you can find that one HERE. Beautiful Vintage Sleigh Silhouette Scene! 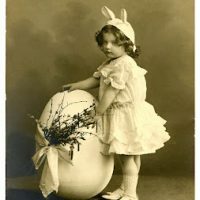 Old Photo – Darling Girl in Easter Bunny Costume Vintage Cluster of Tubular Flowers and Buds Engraving! Thanks Karen – this is a fabulous scene. Such an evocative scene! Thank you for sharing this!